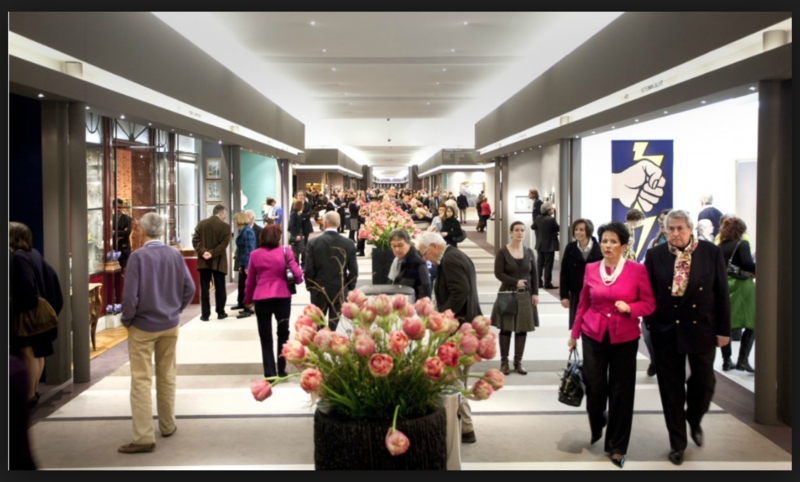 The Maastricht Fair (TEFAF) this year was as spectacular as the press made it out to be. I hadn’t been for a couple of years and it had been so hyped up I expected to be disappointed… but I wasn’t. Everywhere you turned there was another stand full of masterpieces that enticed you in to browse. In addition to the high quality of what is on display it is the range of artworks offered that is so interesting. Normally when I am there, I am under time pressure, and so I stick to the paintings section that by itself takes at least a day to cover. This time I allowed 2 full days and enjoyed looking at areas I know less about such as antiquities, jewelry, Chinese porcelain and works on paper. 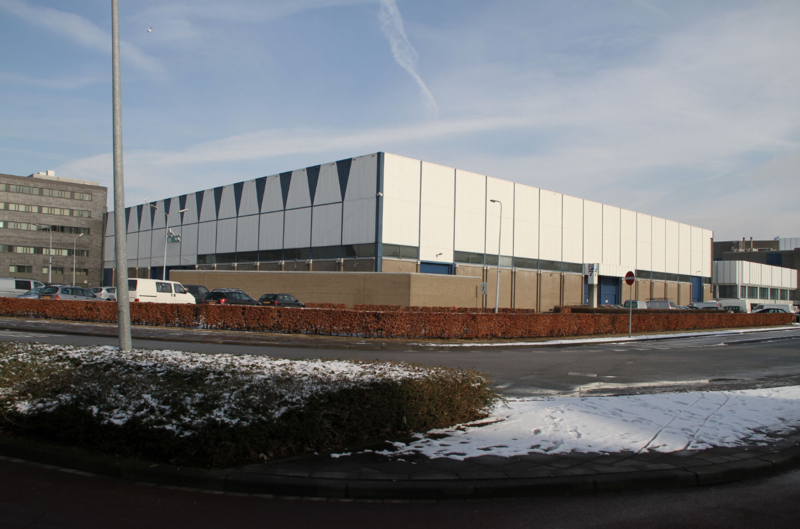 254 dealers catered to 75,000 visitors in the unlikely setting of the industrial looking MECC venue on the outskirts of Maastricht in Holland. Maastricht is a medieval town that sits on both sides of the river Meuse. It lays claim to having been inhabited since Roman times and has an interesting 11th century Romanesque church, The Basilica of Saint Servatius, in its main square. Its less distinguished recent history includes being the birthplace of the European Union and the single European currency. 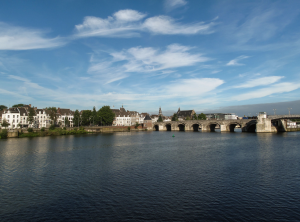 The MECC center in Maastricht, the unlikely setting of the fair for the last 25 years. The Fair was originally formed by the amalgamation of two Dutch Fairs in 1975. 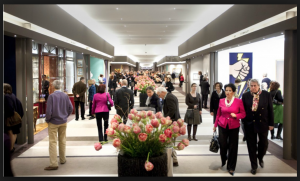 It was first held under the TEFAF banner in 1988 and mainly offered Old Masters. 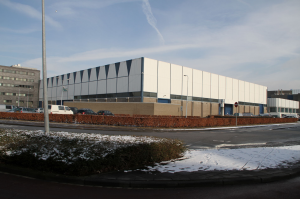 The location suited their original target market of collectors from Germany and Switzerland. The collecting base has changed since then with more collectors and museums coming from the US and Asia so the fair location is no longer so convenient for many collectors. As such there are moves for an offshoot in New York and perhaps another in China. The Fair has never catered for the Russian market. Initially when they started there were no Russian buyers. Russian buyers duly emerged after the fall of the USSR in 1989 but the organizers of the fair have never taken them seriously. Some claim to have had bad experiences with Russians and others cite the difficulty in trying to find the right people to vet the Russian artworks. Now the Russians have largely faded from the international art market due to political problems and the oil price collapse the Maastricht organizers feel their lack of interest in Russian buyers has been vindicated. The Fair organizers turned down every Russian dealer who tried to participate in the Fair until they finally allowed James Butterwick to have a stand in 2015. Since Butterwick is English and an Old Etonian they felt more comfortable with him. 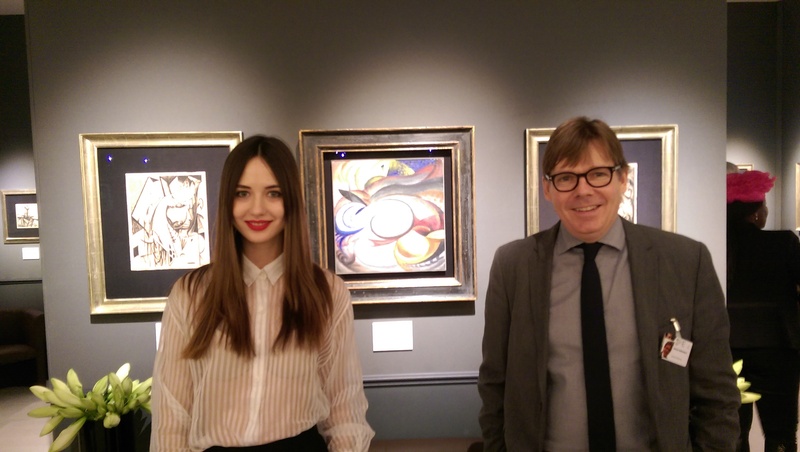 Butterwick specializes in the Russian Avant Garde and in 2016 he brought an interesting exhibition devoted to the work of the Ukrainian artist Alexander Bogomazov (1880 – 1930). Bogomazov is a very good artist, full of originality, energy and tight draughtsmanship and Butterwick’s stand, which featured 30 oils, watercolours and drawings, was most impressive. Butterwick’s sales were primarily to Europeans or European Museums because of the lack of Russian buyers. The Kroller – Muller Museum in Otterloo, one of the best museums you have never heard of (with 90 paintings by Van Gogh), brought several examples. Bogomazov only left Kiev on three occasions which may explain why he is less known than his contemporaries Malevich, Archipenko and Exter. Butterwick is publishing a catalogue raisonee on the artist and is determined to put Bogomazov on the map and give him the status he feels he deserves. 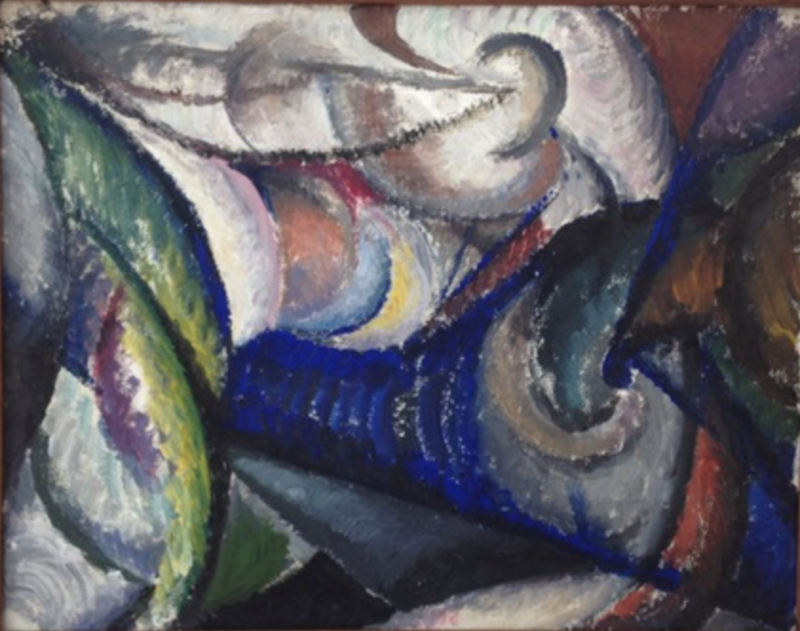 Since there are so few real Avant Garde works available on the art market, as most have now entered museums or long-term private collections, it makes sense for Butterwick to champion some of the lesser known artists such as Bogomazov where supply is still possible. 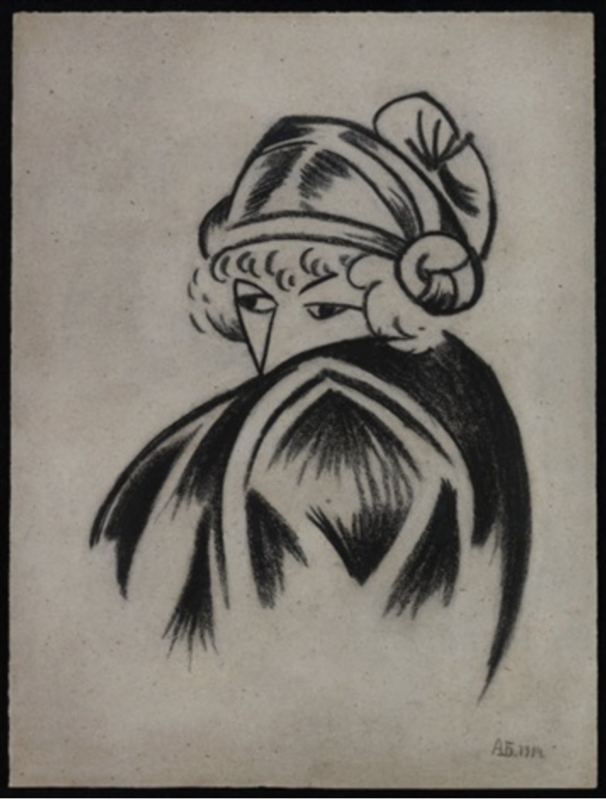 Wanda in a Coat, 1914, Charcoal on paper, Bogomazov. Apart from the Bogomazovs there were hardly any Russian artworks on display at the fair except for a few late Chagall’s. Dealers said they had seen very few Russians at the fair. It seems that the Russians have drawn in their horns for the time being but they will be back when their economy and the oil price recover and sanctions get lifted. Perhaps one day they will become a force at the Maastricht Fair at which stage the organizers will have to take them more seriously. As of now it seems the Fair is doing pretty well without them. Tags: Alexander Bogomazov, James Butterwick, Maastricht Fine Art Fair 2016, Russian art market.